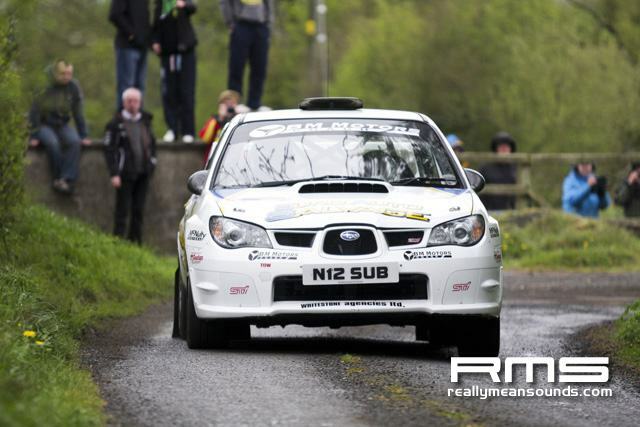 IRC Circuit of Ireland day two review: Joy for Hnninen Juho Hnninen made history today when he became the first driver to win the Donnelly Group Circuit of Ireland Rally to count as a round of the Intercontinental Rally Challenge. 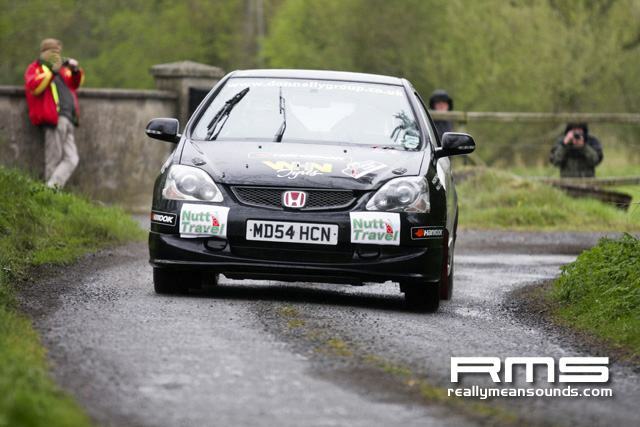 In doing so, the KODA Motorsport ace clinched his ninth victory in the series and his first IRC triumph of 2012. He also follows in the wheel tracks of his fellow Finn Pentti Airikkala as only the second overseas winner of the asphalt event. Hnninen, who is co-driven by Mikko Markkula, started day two locked in a close fight with KODA UKs defending IRC champion Andreas Mikkelsen. They traded stage times and positions throughout the day and began the final loop of four stages with Hnninen leading by 2.3s. 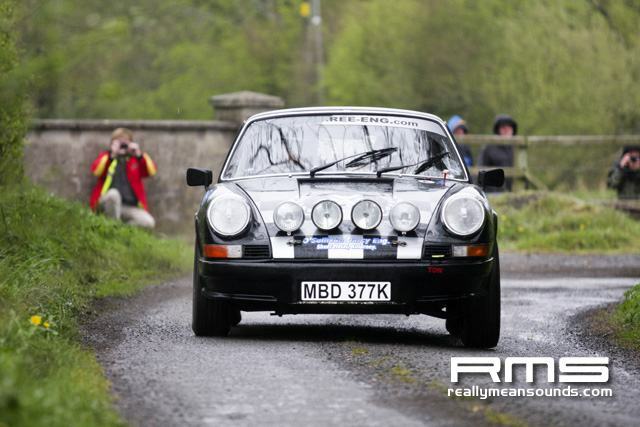 Pushing to close the gap to Hnninen, Mikkelsen got caught out in rain on the Lisburn town centre stage and slid into a hay bale. 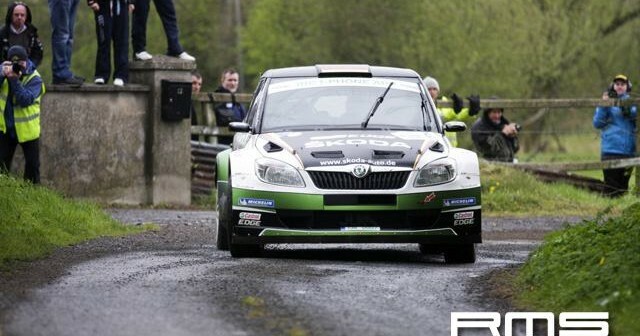 He inflicted damage to the side of his Fabia S2000, but also banged his head and was left dazed, ending his hopes of his first victory on Tarmac in the IRC for the second event in succession. He was able to recover to the runner-up spot, more than 40s behind Hnninen. 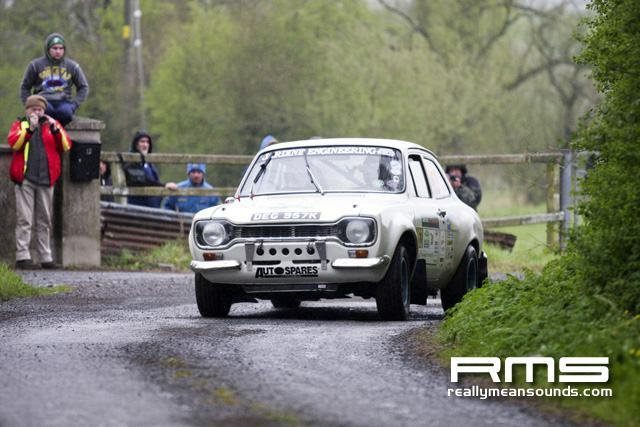 Northern Irelands Garry Jennings won the IRC Production Cup with countryman Marty McCormack clinching the IRC 2WD Cup spoils and the Colin McRae IRC Flat Out Trophy following a determined drive amid a host of setbacks. 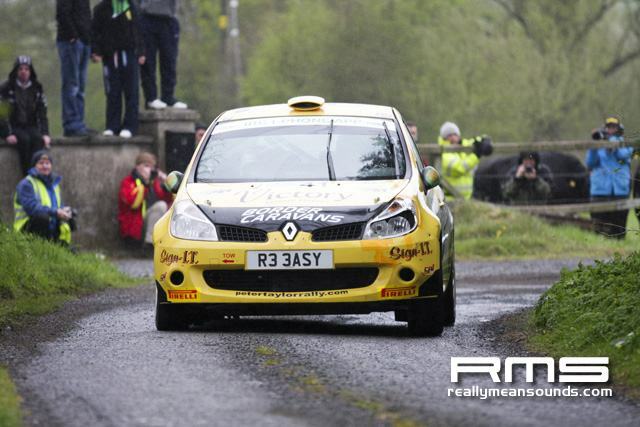 Renault heads the IRC 2WD Cup manufacturers table for the first time. 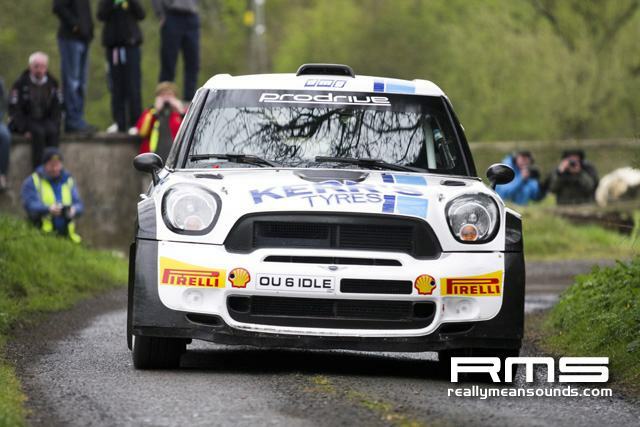 Speaking at the finish in Armagh on Saturday evening, Hanninen, who becomes the third different winner in as many rounds in this years IRC, said: It was one of my toughest victories but also one of my most enjoyable because all the time I was fighting, fighting with Andreas. We had to push on every stage but in the end it was he who was unlucky and not me because I think it was about luck on this rally because the changing weather conditons were very difficult and it was easy to get caught out. 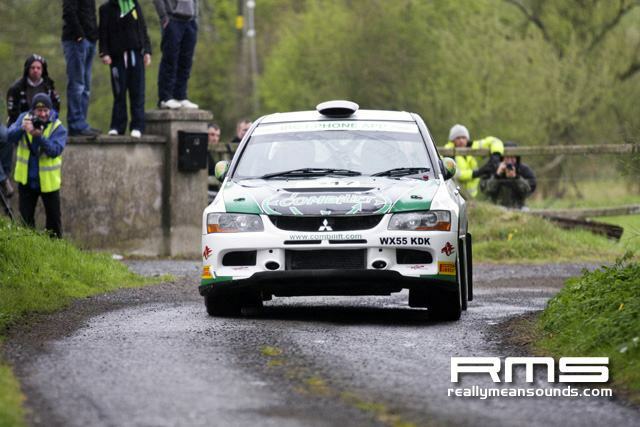 Mikkelsen had fought back into contention following an overshoot on stage eight only to hit trouble on the first run through the Lisburn test. He said: Its disappointing because it was a great fight and this is a rally I wanted to win. But we have made a good start to the season by leading the IRC championship with one win and two second places, so for this reason we have to be happy. 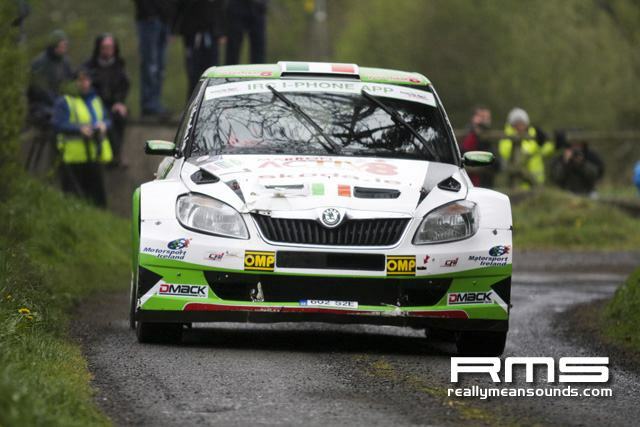 Having worked his way into a secure third position, Jan Kopeck spent day two consolidating the final podium spot in the second factory Fabia to ensure a one-two-three finish for KODA, which extends its lead of the IRC manufacturers standings. 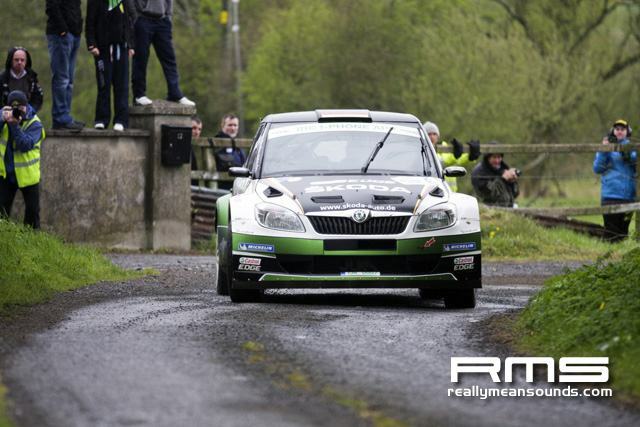 The Czech, who won the previous round in Gran Canaria, was fastest on the Titanic Super Special Stage in Belfast on Friday but was unable to replicate that form thereafter. 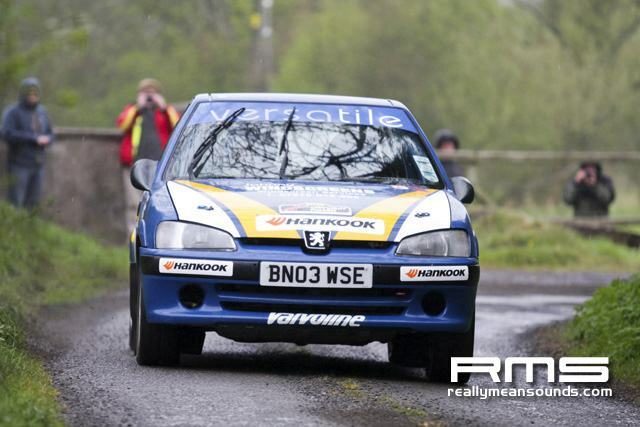 His task wasnt helped when co-driver Pavel Dresler fell ill.
Mathieu Arzeno shone on his first appearance in Northern Ireland by guiding his Saintloc Peugeot 207 Super 2000 to the finish in fourth position. I was here to learn and to take the experience, said the French driver. It was not an easy rally to come to for the first time but Im happy with my performance. 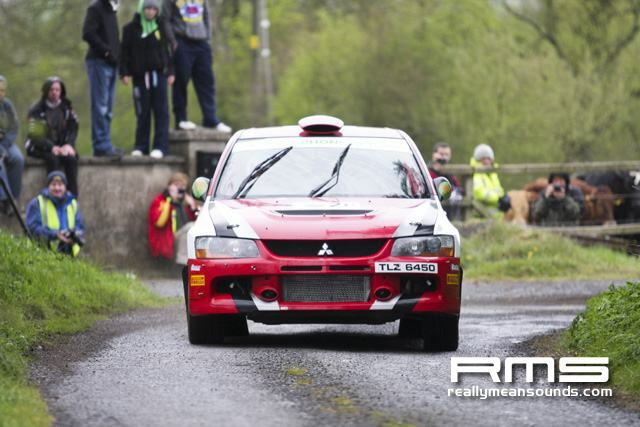 Craig Breen won the battle to be the top Irish finisher by overhauling Robert Barrable for fifth position on stage 11. 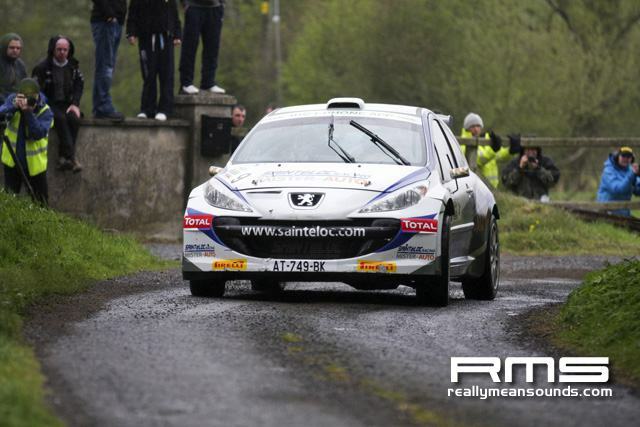 Breen was competing in a Saintloc Peugeot for the first time and spent much of Saturday experimenting with different set-ups having dropped out of contention when he picked up 1m30s in road penalties following a fuel pump glitch on Friday evening. 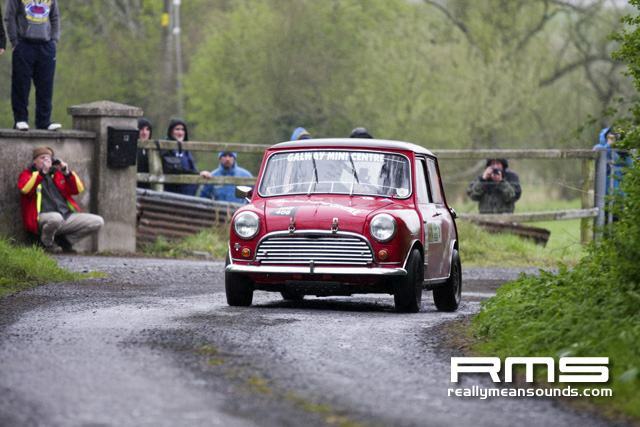 KODA Ireland driver Barrable said a mistake on Saturdays first test, when he charged through a fence into a farmers field and stalled his cars engine, hadnt helped his efforts to keep Breen behind. 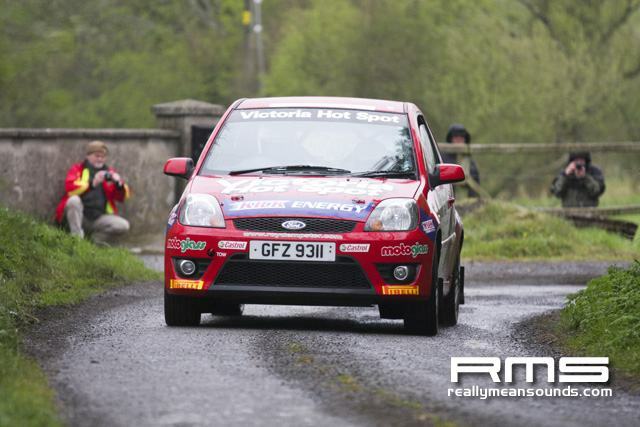 Alastair Fisher began day two in contention for a podium finish but a crash seven corners from the start of Saturdays second stage left his M-Sport Ford Fiesta S2000 with a broken wheel and forced his retirement. 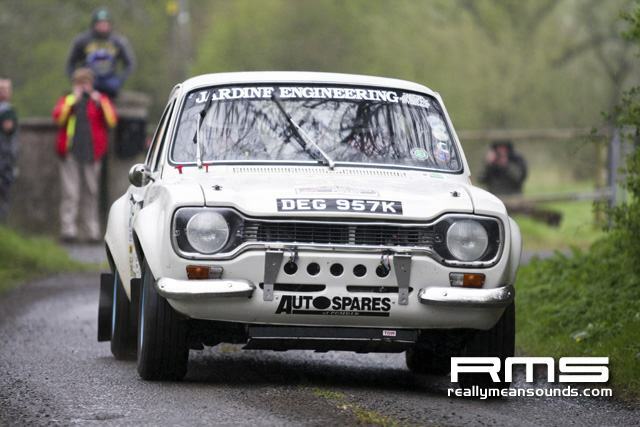 The Northern Irishman, who plans to return to the IRC on Junes GEKO Ypres Rally, was fourth overall at the time of his exit. After losing time with a puncture on Friday, Sepp Wiegand lost precious seconds when he braked too late for a corner on stage nine and crashed through a fence, damaging the windscreen of his KODA Auto Deutschland Fabia. Nevertheless, it was another impressive performance by the inexperienced German driver, who has now scored IRC points on every round run so far this season by taking seventh. 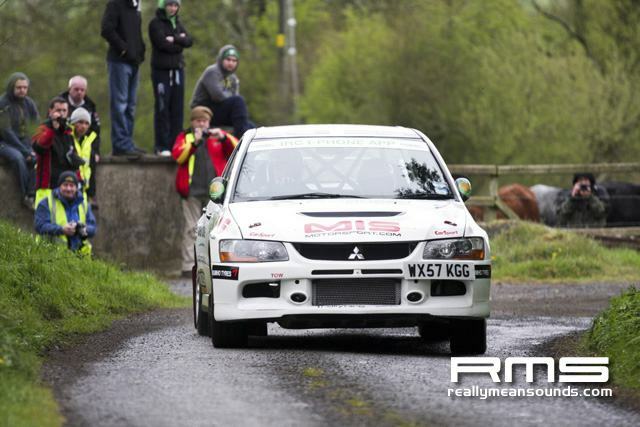 Garry Jennings maintained his overnight advantage to win the IRC Production Cup in his Ralliart Mitsubishi Lancer in eighth overall despite nursing a badly burnt hand, which he sustained by accidentally touching a hot car exhaust. 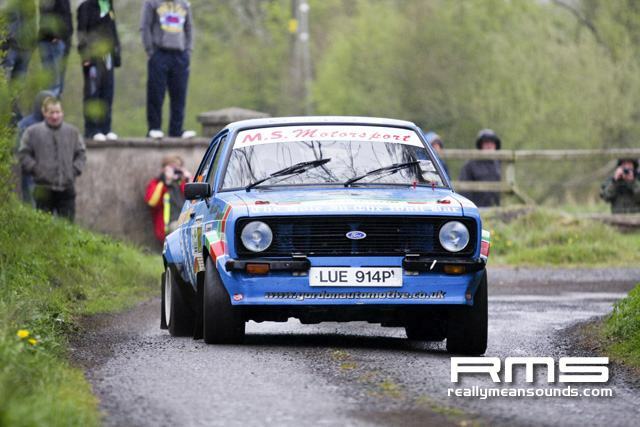 Donagh Kelly snatched second place by overhauling Sam Moffett on the final stage. 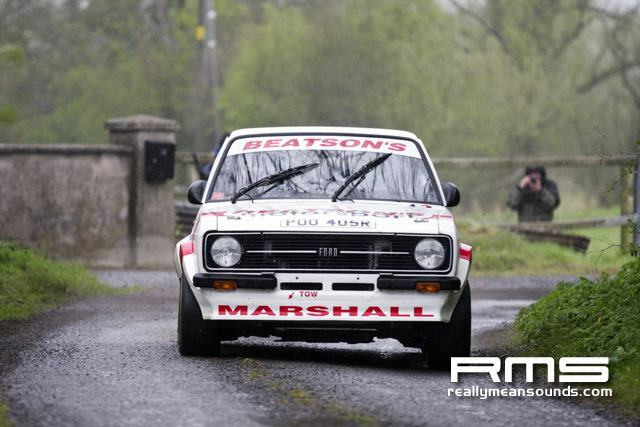 Moffetts brother Sam took fourth with Willie Mavitty fifth and IRC returnee Daniel Barry sixth. Robert Consani continues to lead the category despite retiring on the final morning. 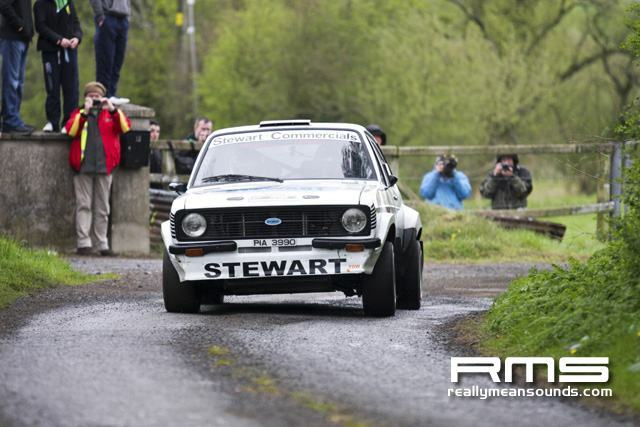 Marty McCormack overcame a succession of problems, including a double puncture, broken gearbox and an alternator glitch to win the IRC 2WD Cup on his first competitive outing for six months. 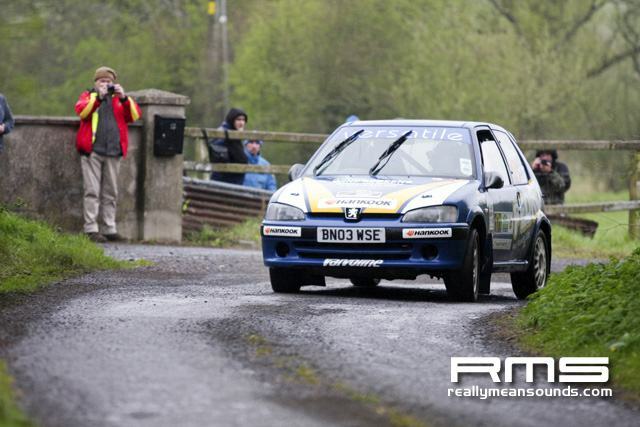 The Northern Irishmans woes briefly handed Renault Clio R3 pilot Tommy Doyle the initiative before McCormack fought back to claim a popular win and the Colin McRae IRC Flat Out Trophy. 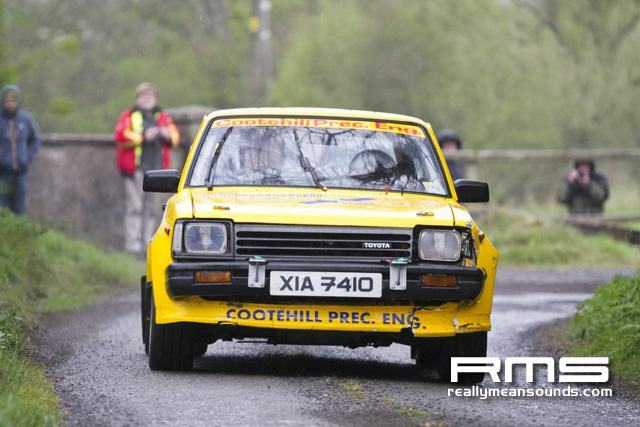 Doyle, who lost time with gear indicator and brake issues, survived an off-road moment on the final stage to finish second with Jonathan Greer taking third after Peter Taylor was delayed on the final stage in his Clio.